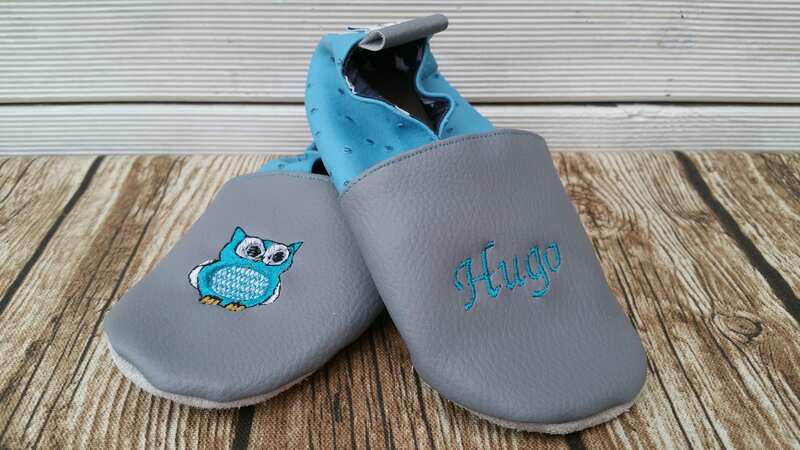 Soft booties made of faux grey leather for front and ostrich blue on the back. The sole is genuine leather. 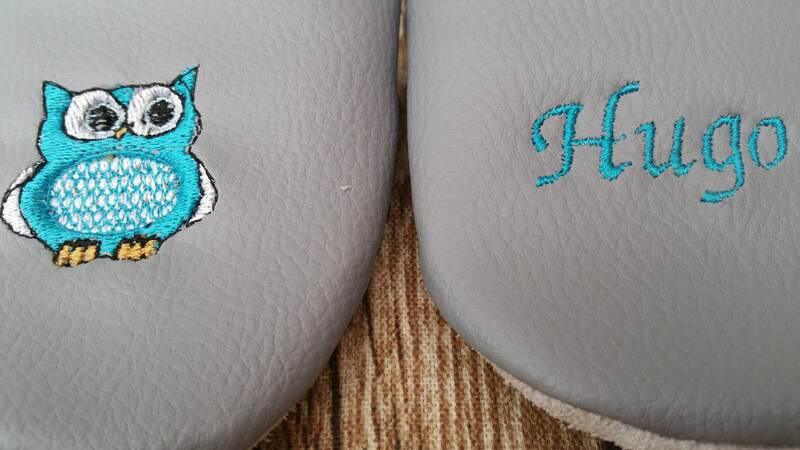 On one foot an OWL or OWL and the child's name embroidered.